No, we did not get a dog despite my children's many plees! As I was looking for photo ops today, I found Camille over at the neighbor's house playing with their dog. She was fascinated with the eye boogers and the amount of drool he possessed. They took him for a walk, held him by his front paws, tickled him, and even put him up in this tree. This poor pug, who they call "Frank" was a good sport and let the girls fawn all over him for quite some time before he gave me those sad, desperate eyes that seemed to say, "Help me." 3. Place the 9 cups of Crispix or Chex cereal in a very large bowl. 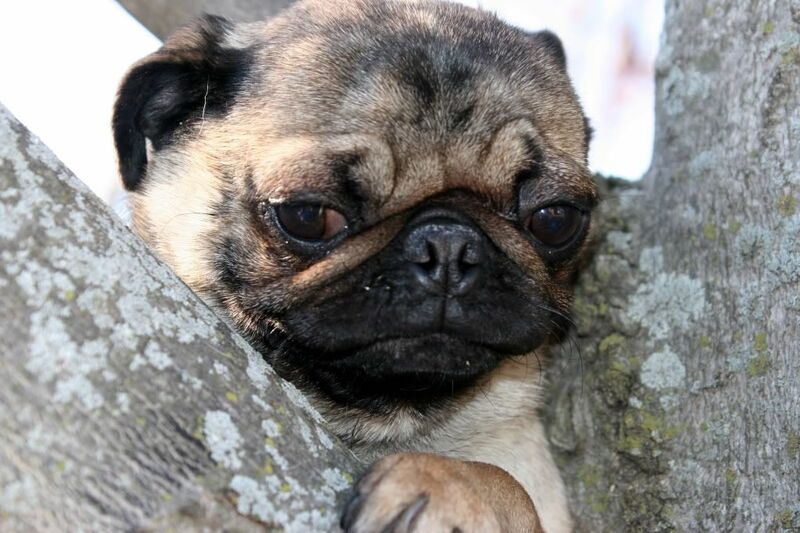 What a cute picture of a sad looking dog C: you are smart not to get one they are a lot of work! PuppY chow is so yummy and one of my kids favorite snacks..if I make it. I also love the picture of Connor with the soccor ball and his shoes untied. Just when I think I'm getting the hang of my camera you amaze me with what your doing. I still have so much to learn! !